Here is the data, from Burger King website. The fat and calories depend on your toppings. The calories and fat are the Angry Whopper with all toppings. The first thing we noticed is that this takes much longer to make, so you may wait longer than usual. This is incredibility messy to eat as the sauces run all over once you pick up the burger. The bun color looks like a play dough type of red. The ‘angry’ heat seems to come from the jalapeños. 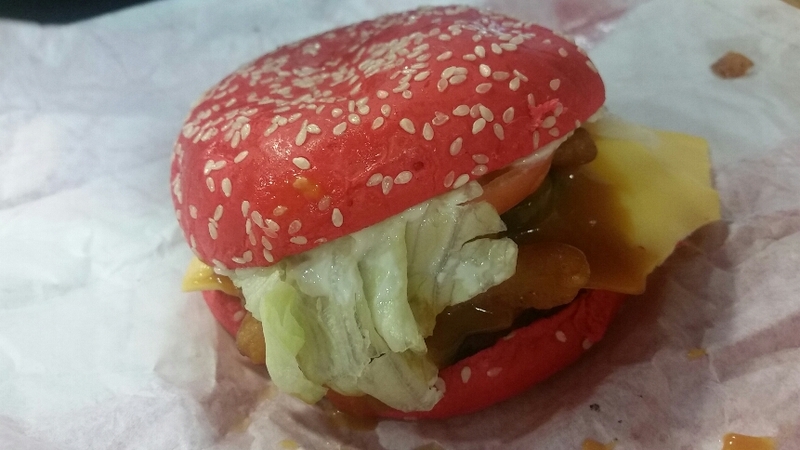 The weird red bun makes this seem like a novelty burger, rather than a go-to menu choice. Order again? Not likely – too many toppings to have a distinct flavor. Also, just too messy. Rather have a Rodeo Burger any day. 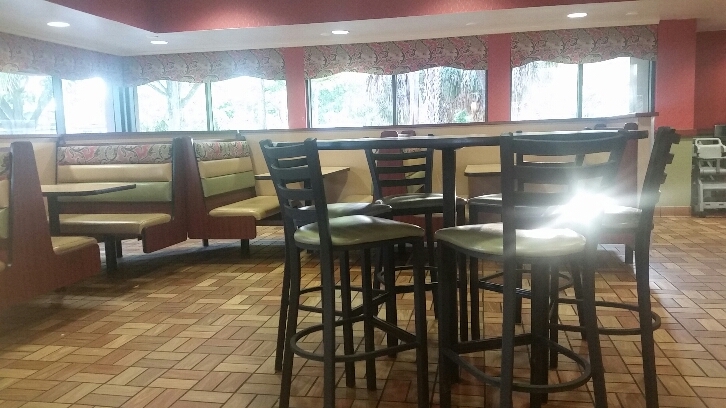 There doesn’t seem to be a mad rush to get this burger, judging by the afternoon seating inside Burger King.